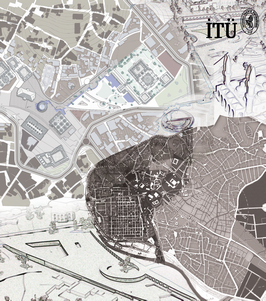 Since its establishment, ITU Faculty of Architecture, Department of Urban and Regional Planning continues to act as a key institution to lead and guide planning education and profession in Turkey. The vision of the Department is to create a leader milieu of innovative, creative, productive department in education, research and planning practice at national and international levels. It endures its education, research and practice activities as a worldwide competing research university to produce genuine and high-quality knowledge through interdisciplinary collaboration, compete and preserve its recognition nationally and internationally, integrate its rich tradition with contemporary achievements, lead a milieu of innovative, creative and productive faculty and reflect the scientific knowledge in social life through the advancement of public interest. 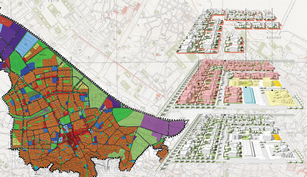 Bachelor of Urban and Regional Planning, which has been serving since 1983-1984 academic year with one of the largest groups of academic staff in Turkey, is designed to guide future planners that comprehend the life, the space and the community to lead future; inquire, capture holistic relationships and produce analytical knowledge; integrate the scientific knowledge with creative and intellectual identity; develop itself through innovations and act with the motto of equity, public interest and right to the city. %30 of the classes in the curriculum has been in English since 1997 to educate Urban Planners who can persue their profession internationally. %100 English education started in 2010-2011 academic year. The programme consists of mandatory and elective courses as well as studios. The total number of credits is 156 (240 ECTS). The curriculum is designed to encourage participation in not only international exchange programmes but also in double-major and minor programmes between diverse disciplines. Department of Urban and Regional Planning offers two master and one Ph.D. programmes within the administration of ITU Graduate School of Science Engineering and Technology, including Urban Planning Master Programme, Regional Planning Master Programme and Urban and Regional Planning PhD Programme. The Department also takes a leading role in diverse interdisciplinary graduate programmes such as Urban Design, Disaster Management and Real Estate Development. The graduate programmes aim to develop human resources on knowledge-base method that will reflect the increasing importance of Urban and Regional Planning and enable those developments in practice. The programmes’ vision is to train graduate students with multi-disciplinary perspective improved by analytical approaches in all scales while providing a respectful and unique statue among other disciplines, and at the same time providing expertise in specific topics and hot spot novelties in urban and regional planning to improve research and implementation. The rich diversity in the research interests of the academic staff allows graduate students to study and research on diverse and up-to-date subjects. Department of Urban and Regional Planning currently has 36 partner institutions from 15 countries within the context of Eramus Programme. Please check out the Departmental website for updates (http://cperasmus.wordpress.com). The Department also has partnerships with universities from USA, Japan and Korea. For other international partnerships, please visit International Office.